The tripartite talks on the Manipur district boundary commission creation issue will be held on March 22 next. 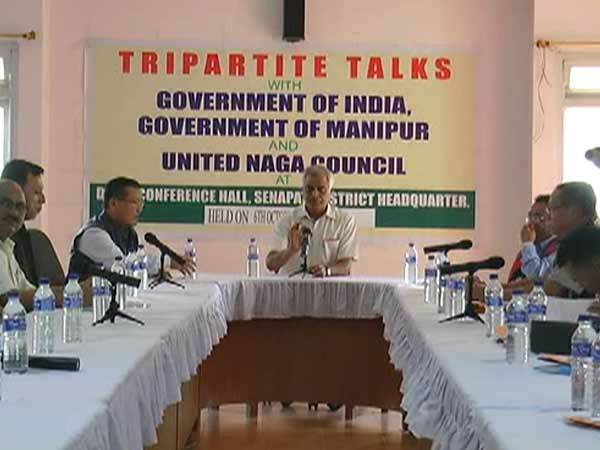 The United Naga Council (UNC) informed the media that it has received the formal invitation for the talks from the Ministry of Home Affairs (MHA), Government of India in this regard. The talks will be held at Senapati district headquarters from 11 am on that day, sources said. The last round of tripartite talks was held on November 10, 2017 in Senapati district headquarters where the participating parties had decided to hold the next round of the talks on February 23 last. However, the proposed round of talks were deferred owing to the Manipur Assembly session. Meanwhile, UNC leadership has reiterated that they have not altered their position on the issue. The UNC leadership said it has given enough time to the Manipur Government for preparation of the ‘final proposal’ which will be presented on March 22 meeting. The UNC leadership also cautioned on stern action if the Manipur Government make further delay on the matter. The executive meeting of the UNC held on February 22 last ‘reviewed the latest political development and situation in Manipur and the Naga tribal areas in particular’. The executive committee resolved that the Naga people seriously view ‘the formation of the District Boundary Commission back-door policy of the Manipur State Government as it is a direct challenge to the sentiments of Naga people’. According to the UNC, the Naga people had already rejected the formation of the District Boundary Commission in the tripartite talks held on October 6, 2017 at Senapati district headquarters with the Government of India, the Government of Manipur and the UNC.